Your payment history represents how well you meet your monthly payment obligations to your lenders, and is a major factor in determining future behavior. It’s estimated to represent approximately 298 points of your credit score. Delinquent payments, accounts sent to collections, liens etc., will all contribute to the total amount you receive. So if you’re late making a monthly payment, that delinquency will be reported to the credit three credit bureaus. Making up about 250 points on your credit report, this category represents how much money you owe to lenders. If all of your credit cards are maxed out, it suggests to lenders that you are unable to pay upon your debts. Raise this portion of your credit score by paying off those cards as soon as you can. The longer you’ve had a line of credit and been able to manage it well, the better your score will be. Accounting for a maximum of 128 points of your credit score, this category represents how long you’ve had a line of credit and is why it’s good to always keep accounts open and available. When you close an account this category takes a hit. Accounting for a maximum of 85 points of your credit score, ‘new credit’ is about how many lines of credit you’ve opened up in recent months. The less the better. If you go overboard, it suggests to lenders that you’re short on cash and possibly won’t be able to pay upon your debts. The solution? Apply for credit once in awhile as opposed to blitzkrieging lenders with applications. 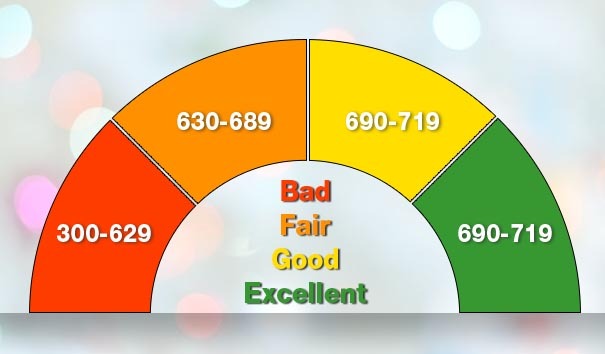 Also accounting for 85 points of your credit score, this category showcases your ability to use multiple forms of credit wisely and responsibly. Does this mean if you only have a car loan, you suddenly go out and open up a retail account and a credit card tomorrow? No. This will negatively affect the ‘new credit’ category. Instead, diversify as the need arises. Remember: ‘Type of credit’ is only 10% of your score, and should thus be improved upon slowly. Getting excellent credit doesn’t happen overnight. Focus on making payments on time and lowering your debt, and your score will improve.